Storage in low temperature, a cool, dry place. 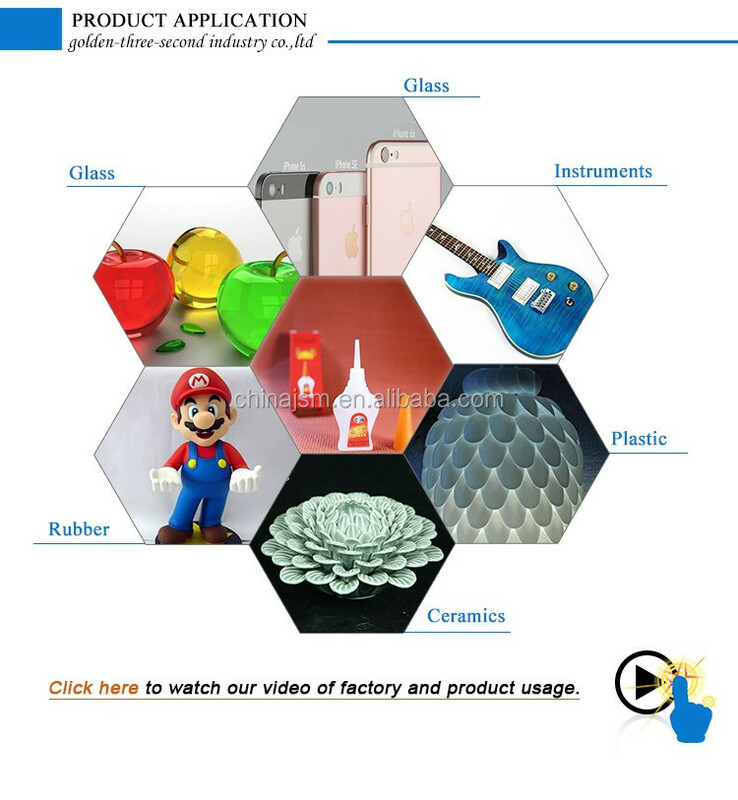 It is widely used in ABS, PVC, Acrylic plastic materials, for PP, PE, PTEE difficult sticky material should be such as surface treatment, and used in toys, stationery, electronics, processing and manufacturing industries. Super glue 502 can fast bonding metal, rubber, plastic, ceramic, glass, jewelry, stone, leather etc under the normal temperature. It can widely used in the industrial manufacture of electronics, instrument and meter, mechanical, car etc and house-hold repair. It can be used in magnet, electronic, car etc. Suitable for bonding between the magnetic material. 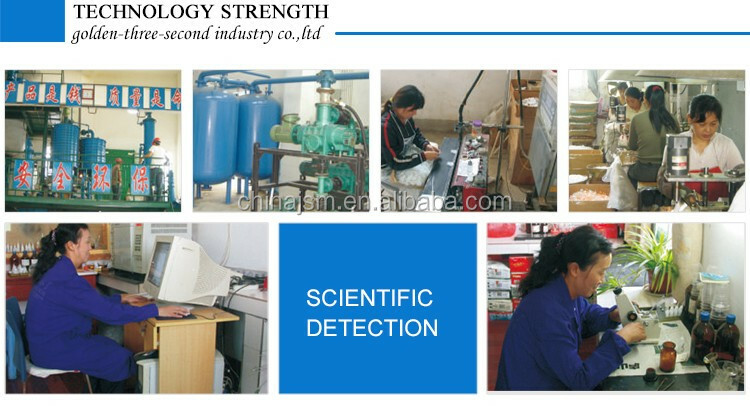 Customers can choose different models according different time, strength. Bonding speed is quick, easy to operate. The price is moderate. Storage in low temperature, a cool, dry place. Fast bonding speed, good strength, widely use. To enter the market in nearly 30 years, to stabilize the quality of the products become more industrial enterprises designated brand. Storage in low temperature, a cool, dry place. Magnets special glue 20g/bottle,25 bottles/box This product has a low viscosity, fasting curing, moisture proof, high bonding strength, etc. Storage in low temperature, a cool, dry place. Please click above categories to view more products,or click here to contact us. curing, excellent permeability, tough film, high bonding strength, etc. We have more than 10 types different performance products which can meet with different industries adhesive requirements. 1.Can quickly bonding different material under normal temperature, such as steel, copper, aluminum, rubber, hard plastic, ceramic, glass etc. 2. Different materials can also apply. It can be widely used in electric, instruments, meters, machinery, automobile and other industries in the production and maintenance, especially suitable for industrial assembly line work. 1. Metallic materials firstly used sand paper cleaning, and then use the solvent to clean surface treatment. 2. Non-metallic firstly clean the surface, if necessary, need dry processing. 3. When the adhesive closed, research combined with each other. It is advisable to sub to 0.1 mm. If too thick, the strength will decrease and the curing time will slow. 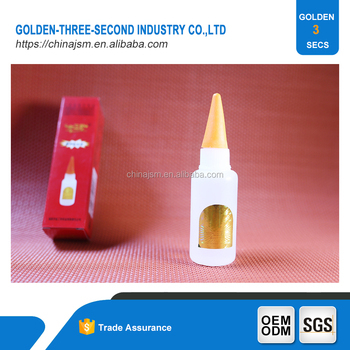 Ruichang Golden-Three-Second Industrial Co., Ltd is a professional cyanoacrylate adhesive, super glue in China. Passed ISO14001:2004 in 2010, ISO 9001:2008 in 2011. Annual output of 300 tons of raw glue, and 500 tons of green&red glue, altogether 5000 tons from 10 advanced equipment production. >>>>>>>>>>>>>>Please click here to know more about our company. 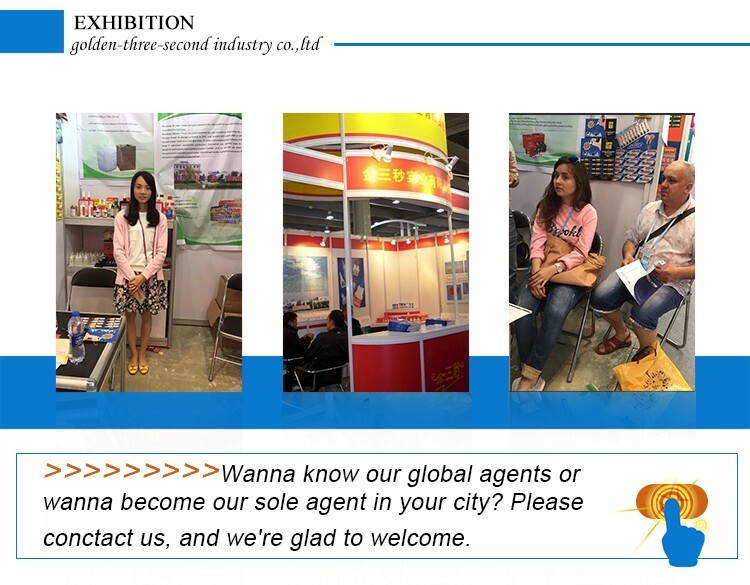 Ruichang Golden-Three-Second Industry Co., Ltd.